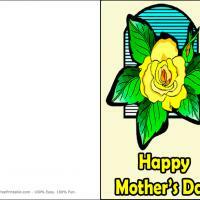 These printable Mothers Day cards feature a cute brown mother cat with three kittens against a rose background. 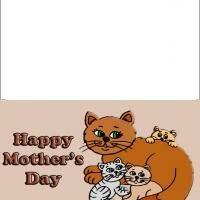 This card is great for cat lovers. 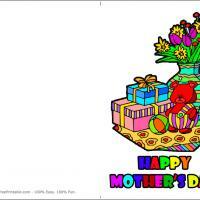 Show your love and appreciation for your mother on Mother's day. 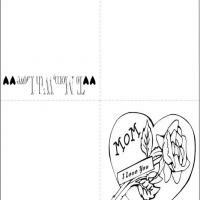 Print this half page size cat for your mom on Mother's day. 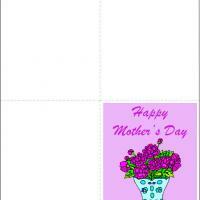 Surprise her and personalize this card with a sweet message to show how much you care for her.